Do you sometimes experience dry eye symptoms? It is something that has been bothering me for a long time. Instead of seeking the relief that I needed, I resigned to deal with it and be uncomfortable. Why do we so often as women, accept discomfort so readily? This year I’ve taken charge of my health, and have made some changes. 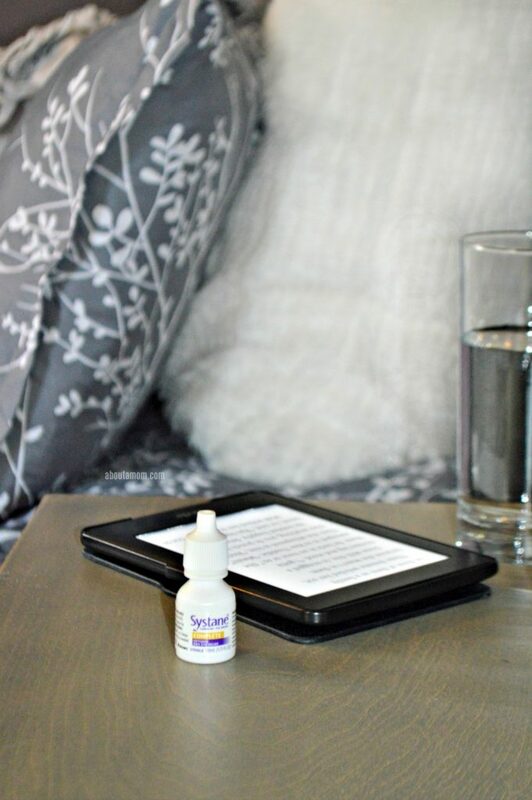 I’m so excited to share a new product with you that I recently discovered that has helped me tremendously with my dry eye symptoms. There are many causes of dry eye, but for me, it is too much screen time. Most of my day is spent online, and evenings are spent with my nose buried in my Kindle. Usually, at the end of the day is when my eyes would feel their most dry and gritty. I’d sometimes just go to bed early rather than deal with the discomfort. Dry eye is a condition that occurs when your eyes can’t lubricate themselves adequately, which in my experience can be very bothersome and distracting. I know I am not alone in this. In fact, the condition affects over 30 million people living in the US, and can often get in the way of everyday life. Fortunately, I had the opportunity to try Alcon’s newest eye drop, SYSTANE® Complete. It is the newest product from the #1 doctor recommended brand of eye drops. Its advanced nano-droplet technology allows for fast-acting hydration, tear evaporation protection and long-lasting relief. I’ve been so happy with the results. My dry, itchy eyes feel relief when I use these drops and the relief lasts a long time. It is nice to not have to worry about my productivity being hampered during the work day, because of eye discomfort. I’ve been able to finish a book series that was taking me forever to get through. Please don’t let dry eye symptoms get in the way of everyday life, like I did for so long. 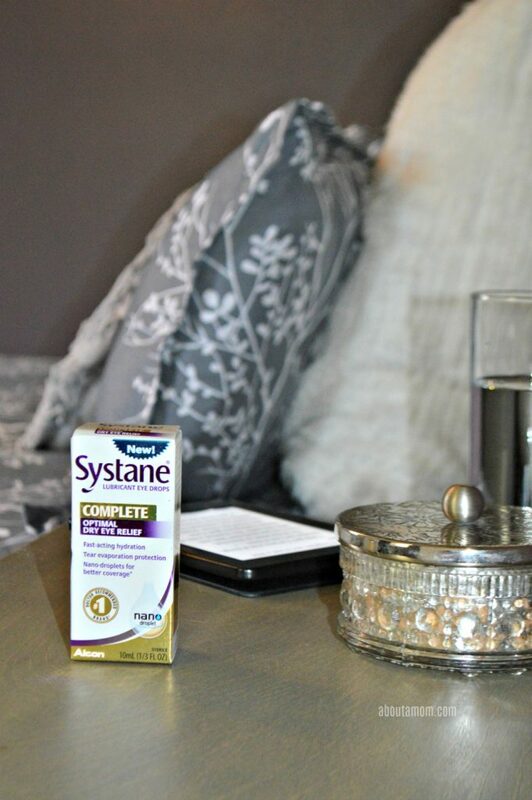 I’m giving 10 of my readers the chance to try out SYSTANE® Complete!! Tell me in the comments below why you’d like to try it. Hi April, congratulations! You are one of our giveaway winners. Please be on the lookout for an email from SHE Media regarding prizing. This sounds like a great product for dry eyes. I will have to recommend this to my friend. Hi Shelly, congratulations! You are one of our giveaway winners. Please be on the lookout for an email from SHE Media regarding prizing.